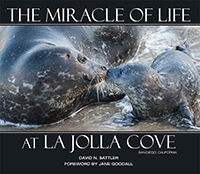 Distributed by Jerome M. Sattler, Publisher, Inc.
with the inscription "Celebrate the Miracle of Life Each Day!" Please add $3.99 for shipping. CA residents, please add 8.0% for sales tax. Call us to order your book or send a check to the address listed below. We accept VISA, MASTERCARD, AMERICAN EXPRESS, and DISCOVER CARD. Please have your credit card ready when you place your order by phone.